The Academy is a pioneering equine reward-based online membership college. Run by Jo Hughes, an expert in equine behaviour and one of the world's most prominent equine-focused positive reinforcement trainers, and her associate trainers, The Academy delivers distance learning, personalised coaching and support in positive horse, pony and donkey training to owners and riders throughout the world. Learning and support is offered to horse owners through a wide range of different products and services from home study courses to personalised online problem behaviour consultations, coaching and support within our fantastic membership community. We believe in a holistic mindset of gentle, positive horse care and training. Essentially, that means that the whole horse is taken into account including their health and their ethology alongside training in the least forceful, most positive way. No fear! No stress! No pain! We want horses to LOVE spending time with their humans and so we try to focus on the use of positive reinforcement (clicker/bridge and target) training, using food or tactile reinforcement where possible. Our approach uses up-to-date science and theory but is delivered in an easy-to-digest way to teach you how to actually apply these techniques and train your horse in real-life. As a Platinum Member you get access to EVERYTHING inside The Academy!! And that is UNLIMITED access for the duration of your membership. You get fully personalised online coaching from Jo Hughes for the duration of your membership. Each month you’ll either have a coaching call to discuss anything you would like to regarding your training, some video coaching or devising a structured training plan to provide personalised solutions and keep you on track with your training. 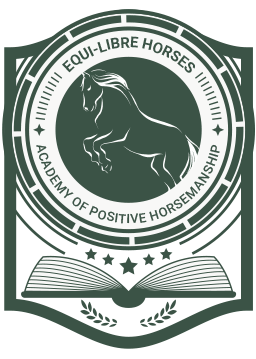 The Academy of Positive Horsemanship is your comprehensive resource to learning about and developing yourself in the art and science of positive horse training. All our consulting, coaching services and courses use up-to-date, ethical, science-based behaviour modification techniques to affect and change behaviour in horses in the most positive and effective way. 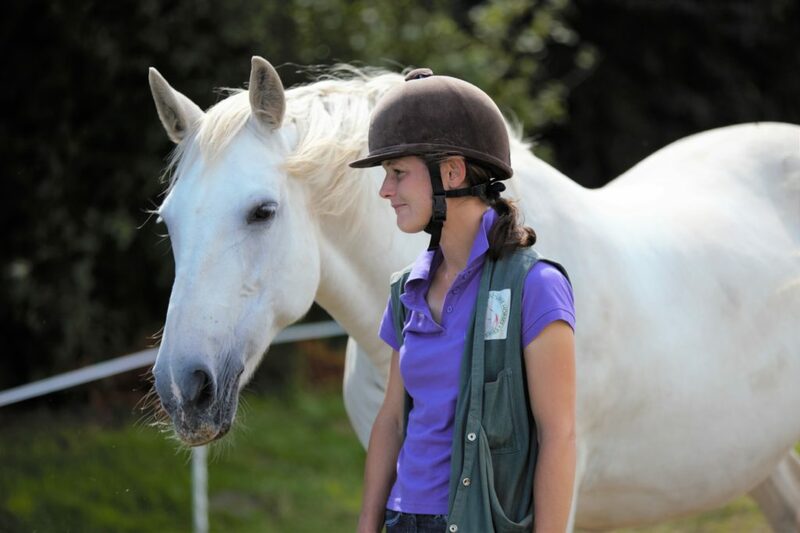 Whether you are struggling to find a solution to your horse's unwanted behaviour problem or you are looking to dramatically improve the communication and connection you have with your horse, The Academy can help you to achieve that. Our aim through The Academy is to offer you complete control over your own learning experience. This means complete flexibility as to how you would like to structure your own learning and support through our services. After all, we all know that the help and support we need can often change week to week, month to month with our horses. As a result, we will soon be offering a small proportion of our home study courses and our behaviour modification training plans to non-members. The majority of our products and services however, including all our personalised 1-2-1 coaching and support, are ONLY available to our members. We have three levels of membership, each with different inclusions and optional extras. Click here to find out more about what is included in each membership package. Video coaching is such a useful tool when learning to train horses and change their behaviour in the least intrusive, most positive way. Clients shoot some video, which is then reviewed and assessed by Jo Hughes. An online call or phone call is arranged to discuss the video assessment and give feedback and instruction on how to improve and move forward. The feedback is ridiculously detailed! Students are always utterly amazed at just how much information and nuanced detail I gain from a really short clip! Video Coaching is an optional extra for Silver and Gold Members. Platinum Members have this service included as a very crucial and beneficial part of their comprehensive package. Personal coaching calls are really useful for trouble-shooting as well as providing more specific help and advice on a particular issue or even for something students would like to improve on in between lessons. These online calls or phone calls are pre-booked for a specific time. Personal Calls are an optional extra for Gold Members. Platinum Members also have this service included as an integral part of their comprehensive package. These are individually-created behaviour modification plans written for specifically for you and your horse. Each incredibly detailed training plan will be geared to achieving a specific goal behaviour, such as standing still for a vet to inject or overcoming the separation distress in one herd member when another one leaves. These provide a fantastic start point for training projects and give you a structured plan to follow before moving on to being supported with video coaching and coaching calls as you move through the training process. Once the plan is written, we send it to you on email which is then followed by a coaching call to discuss. This service is an optional extra for Gold Members. Platinum Members also have this service included as an integral part of their comprehensive package. Our home study courses cover everything from the initial foundation steps and how to go about introducing your horse to training with food rewards safely including how to manage/eliminate any signs of over excitement and hyper-arousal or frustration, onwards through the 7 different ways to form behaviours positively including teaching targeting and how to free shape behaviour, to step by step detailed video examples of horses actually learning certain behaviours such as how to ground tie, liberty leading and groundwork. We explain why start and end signals are so crucial. We show you how to add cues to behaviours once you have trained them and then exactly how to maintain the horse’s motivation to continue to offer those trained behaviours into the future with a variety of different reinforcement, not just food reinforcers. We give students all the essential components and complexities of behaviour science and positive reinforcement (clicker) training explained in a simple, easily understood way AND the practical know-how for them to be able to produce beautifully calm, relaxed and safe horses no matter what their goal. We also have our unrivalled Straight & Supple Training course, where students can learn about the natural, inborn imbalances in our equines and how to develop their suppleness in order to straighten them through gymnastic training. This course teaches students how to gymnastically strengthen their horses in order to help them balance correctly by developing a language of communication and behaviours formed using appetitives/positive reinforcement instead of being based on coercion or compulsion (via the use of aversives/negative reinforcement as is the case for all other mainstream classical training). Here you can connect with, and get support from, our wonderfully diverse community. Watch member training videos, ask questions, receive training tips and discuss training topics within a completely non-judgemental and safe space. Your own member profile area and training journal to log your progress and get feedback, comments and lots of encouragement. It’s a great way to track your progress by writing notes on those all-important elements affecting your training. Safer Horse, Safer Hacking – what makes horses dangerous out hacking and what can we do to help make their behaviour safer? Only members of The Academy have the option to join our live web classes, which are shorter practical classes on topics such as shaping behaviour and training cues. Members can connect directly with Jo Hughes and her associate trainers LIVE each week at a specific time. These are opportunities to discuss more specific topics and advanced concepts including poisoned cues, confidence knocks, premack, group training, problem solving and more. ALL members get a 5% discount off all our workshops, clinics and events.